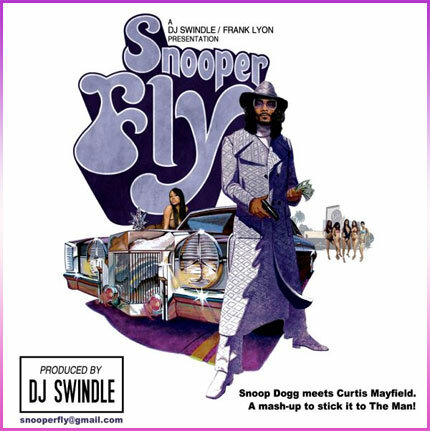 As mentioned in our earlier interview, DJ Swindle and Frank Lyon have wrapped up their latest project SnooperFly: Snoop Meets Curtis Mayfield (it's actually been out for about a month now, I'm just a little late with the news). Mixing Snoop Dogg acapellas with original beats that Swindle has cooked up from samples off of the SuperFly soundtrack, SnooperFly continues the duo's dominance over the mashup genre. To download all of Swindle's previous albums, head over to djswindle.com. For more info on the Snooperfly project, including download links, stop by the MySpace page.